Vodafone has reported a drop in mobile services on its network. However, the number of direct Vodafone customers grew in half ending 30 June. “Overall we’re very pleased with these results and the trends are in line with our plans and we remain very optimistic about the future of the business,” Vodafone Hutchison Australia CFO James Marsh told a briefing on the results. The telco reported 4.86 million direct Vodafone customers as of 30 June, up from 4.76 million at the end of June 2014. However total subscribers on the network dropped to 5.26 million, down from 5.3 million in the half ending December 2014 (but up from the 5.21 million reported by the telco for the half ending June 2014). 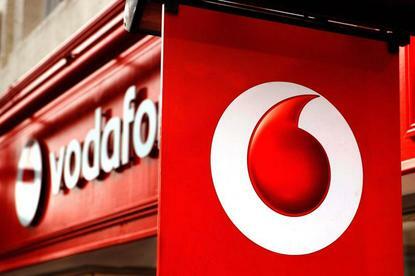 Postpaid customers, which drive the bulk of Vodafone’s revenue, have increased year-on-year by 3.3 per cent, Marsh said. The telco had 3.18 million postpaid customers at the end of the half. That increase was driven was driven by the voice, text and data offers of Vodafone plans, $5 international roaming as well as content offers such as Spotify, the CFO said. “On prepaid, our customers have remained solid over the period with a stable performance over the last 12 months. We’re pleased we’ve stabilised this product, but … we have seen a step-up in competition across both the mobile network operators and the MVNOs, particularly in prepaid. MVNO customers dropped to 395,000 from 452,000 in June last year. Marsh attributed that to a number of mobile resellers being acquired by competitors and migrated to a new network as well as an MVNO being shut down. Despite the decrease MVNO revenue had remained “broadly flat” over the period, the CFO said. Total revenue for the telco grew by 2.9 per cent half-on-half on the back of increased service revenue. Vodafone reported revenue of $1.77 billion for the half, up from $1.73 billion for the half ending June 2014. However losses grew to $183.6 million — up from $158.6 million in the prior comparable period. “Our net loss position has improved on the second half of last year, but increased slightly from June ,” Marsh said. “The increase on [the] June 14 half was due to increased acquisition or retention costs, really driven by increased volumes of acquisitions and re-signs. Also we’ve had increased direct cost from offers on content and international calling since we’ve made our offers and overall propositions richer. “We really see these increased costs as a level of investment that we need to make to grow the position of the business and we’re overall pleased with those results,” the CFO said. Marsh said that a customer service focus at the telco, including the opening of a new customer care centre in Hobart, is “having a material impact” that is reflected in Telecommunications Industry Ombudsman complaint figures. Complaints about Vodafone dropped to 7.2 per 10,000 services. “This compares to 14.3 12 months ago,” Marsh said. Complaints had halved over a 12-month period on the back of improved call centre processes and data pricing changes, the CFO said.